Review: ‘The Revenant’ is Brilliantly Directed, But Does That Make It a Great Movie? Review: 'The Revenant' is Brilliantly Directed, But Does That Make It a Great Movie? “The Revenant” marks the rare instance of a brilliantly directed half-baked movie. Director Alejandro G. Iñarritu’s highly anticipated followup to “Birdman or (The Unexpected Virtue of Ignorance)” trades that movie’s ironic wit for a bloody revenge tale that’s self-serious and absurd at once, pitting top-notch craft with muddled ideas. An obvious bid for next-level action-survivalist material, “The Revenant” so aggressively pursues that task that it’s impossible not to get yanked into the wild, viscerally unnerving ride. The grisly account of nineteenth century explorer Hugh Glass — left for dead in the South Dakota wilderness after a near-fatal bear attack — it presents that dilemma in wonderfully dynamic terms: The ever-reliable Emmanuel “Chivo” Lubezki reteams with Iñarritu to craft a series of astoundingly intense sequences, aided in large part by a ferocious turn by Leonardo DiCaprio as the abandoned lead. It’s a bracing alternative to unimaginative studio blockbusters, but marred by the lingering sense that it’s never much more than that. Glass provides a fascinating entry point for reexamining the American frontier, and not only because of the unusual conditions of his heavily mythologized plight. When the movie begins, the explorer has been tasked with aiding a group of fur traders through the trepidatious forest as winter sets in; his teenage son, the offspring of an ill-fated marriage to a Native American woman, stays close by. That unlikely combo provides a compelling opportunity for DiCaprio to sample a few lines of indigenous dialogue with his character’s offspring, and suggests a unique complication of the traditional cowboys-and-Indians trope through a revisionist lens. But such a possibility is short-lived: Soon enough, Glass is left alone to fend for himself, at which point most of the Native American figures are reduced to little more than scowling, vicious plot devices. Needless to say, “Meek’s Cutoff” this is not: Rather than complicating the relationship between American settlers and various tribes, “The Revenant” presents the latter group as fearsome, one-note companions wielding vicious tools and beastly tempers. This mainly points to a lack of sophistication in the storytelling as a whole, since the movie does contain attempts to convey genuine bonds between the two groups. But these token acknowledgments feel oddly forced, particularly once Glass teams up with another nomadic sort whose world has been destroyed by the white man. The abrupt music cue when the pair realize they have something in common plays like the worst kind of dime store political correctness. Still, “The Revenant” remains deeply involving so long as it grimly focuses on Glass’ largely wordless tribulations, as he crawls and limps his way through the frosty landscape, surviving various physical ordeals in the process. Nearly every possible permutation of wilderness problems get tossed his way: That harrowing, protracted bear showdown; daunting cliffs; streaming arrows; merciless streams; you name it. Lubezki’s camera gets close to the action and never flinches, which underscores Iñarritu’s commitment to excessive mayhem at every turn. The bear attack stands out as the essence of the central filmmaking scheme: The monstrous creature destroys Glass’ body in grotesque detail not once or twice, but three times — look out, here it comes again! — and it’s both extraordinary and exhausting to sit with Glass the whole way through. Subtlety has never been Iñarritu’s strong suit. Previous efforts “Biutiful” and “Babel” attempted to craft sullen drama out of crude scenario with infuriating simplicity. That shortcoming was mollified in “Birdman” due to the playful manner in which overstatement was baked into the material. At times, “The Revenant” gets away with that, too. Iñarritu delivers a series of macabre encounters, but falls short on surrounding them with a compelling story. At one point, Glass witnesses a fiery arrow plummeting downward, which mirrors a recurring image from “Birdman.” Here, however, the connotations of an overeager creator whose outsized intentions come crashing down to earth seem accidental. Eventually, “The Revenant” settles into a basic routine. With Glass on the mend, the plot essentially comes down to his path toward vengeance, as he sets his sights on the two-bit criminal (Tom Hardy) responsible for leaving him behind. Other men of varying ethical standing, such as Andrew Henry (Domhnall Gleeson) as the group’s well-intentioned leader, suffer from underwritten material. The strengths of “The Revenant” lie with Glass, and any cutaway automatically lowers its appeal. That’s not to say it doesn’t generate plenty of anticipation throughout, but the story keeps sagging until the unimaginative climactic showdown. Accept it as one of the best-directed action movies of the year (second only to “Mad Max: Fury Road”) and Iñarritu has done a great service to an underserved genre. Yet no amount of ingenious camerawork and breakneck pacing can obscure a simplistic core. 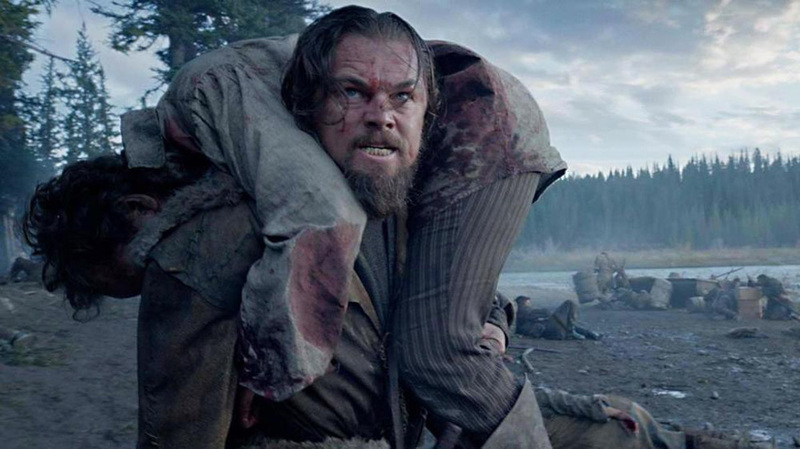 Ultimately, the ambition of “The Revenant” overshadows its big moments. If “Birdman” is about the quest for artistic transcendence, “The Revenant” illustrates the never-ending conundrum of chasing it. “The Revenant” opens wide on December 25.